Do you know how secure is your password? 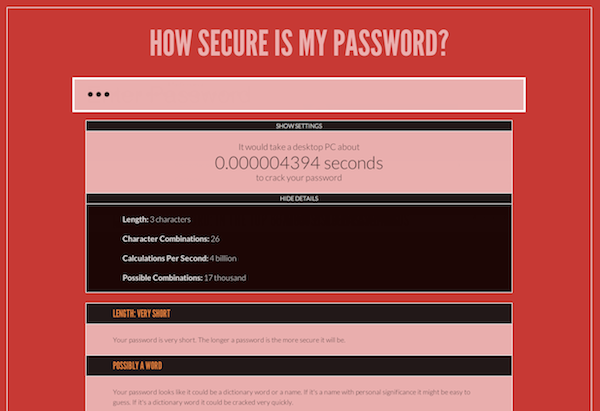 How secure is my password is an easy web tool that, like it says in the tin, allows you to evaluate how safe is your password. It also gives you advice on the fly in order to improve it and create a better one. The true motivator: a box that says how long would it take a desktop PC to decipher your password. Mine would take 63 quintillion years. Yours?